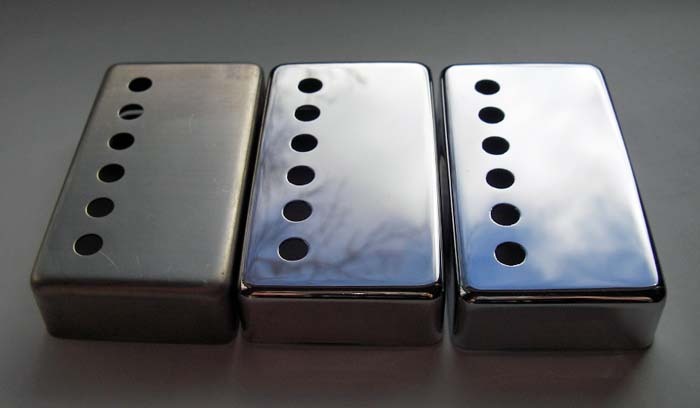 Based on the original T-Top patent# sticker humbucker from 1970. 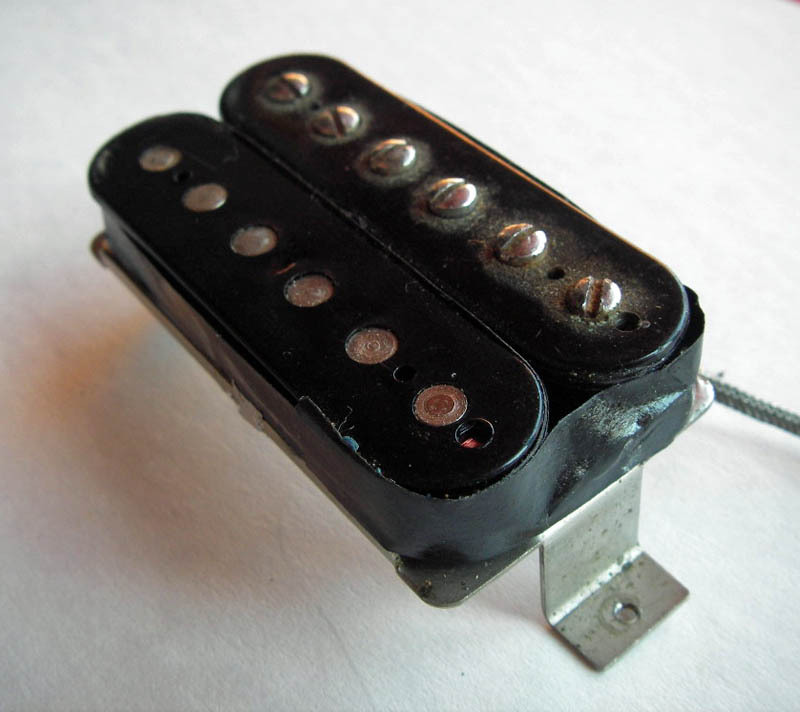 The pickup uses a strong "short" Alnico 5 bar magnet, which gives a special chime and high end for this pickup's sound. 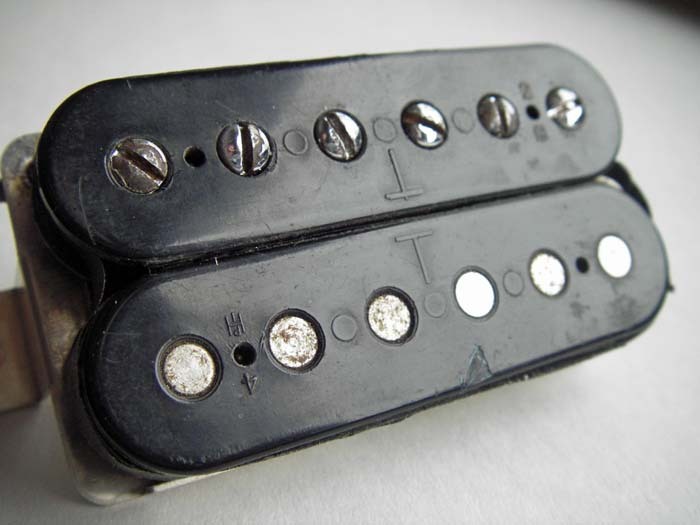 The winding pattern is faithfully taken from the original pickup. 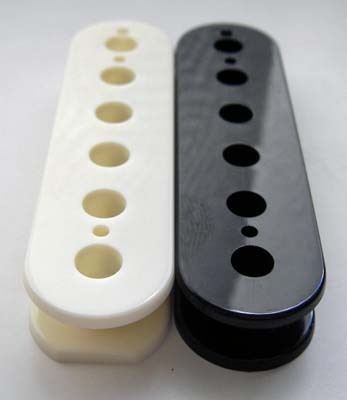 (Turns per layer, amount of turns, magnet wire type and thickness) Bobbins are modern plastic ABS. Steel alloys used for metal parts are selected according to metal analysis of the original parts. 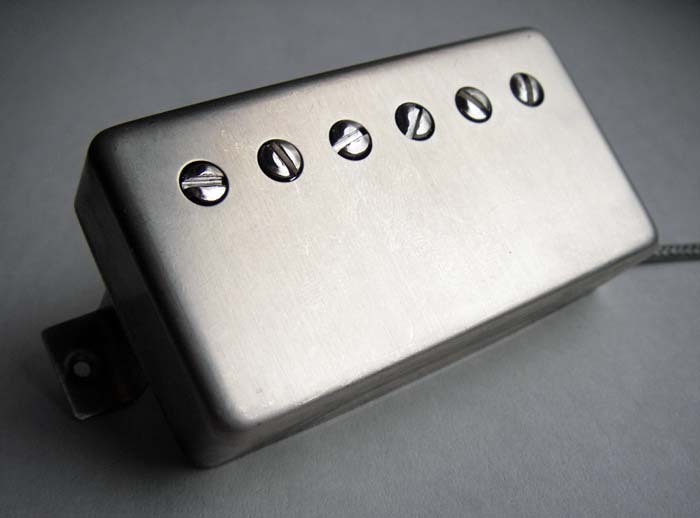 Based on the original "pre T-top" humbucker from 1965. Short rough cast Alnico 2 bar gives softer attack and smoother highs, works fine with clean chords and crunch leads. 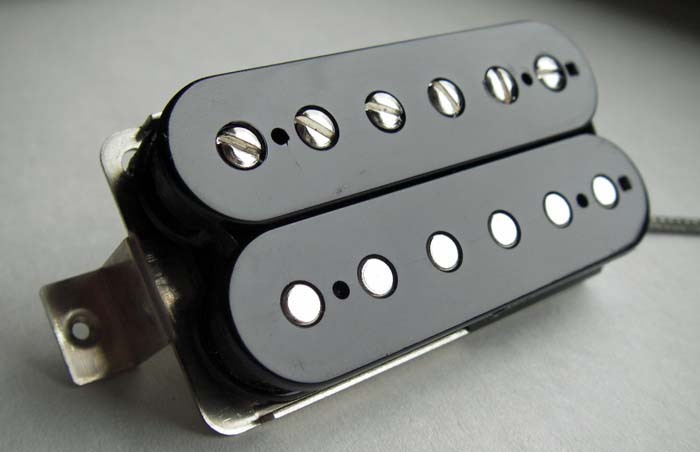 This neck pickup matches great with the ​bright and strong bridge humbucker. 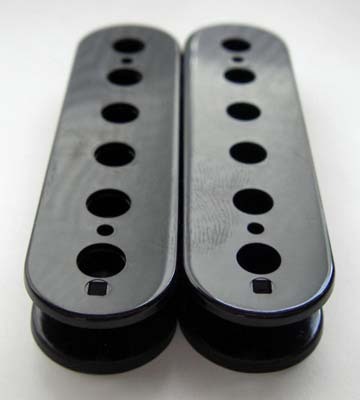 ​Available also with short Alnico 5 bar magnet for brighter tone. 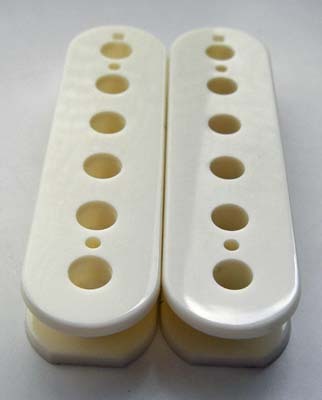 "Short" rough cast Alnico5 bar magnet. 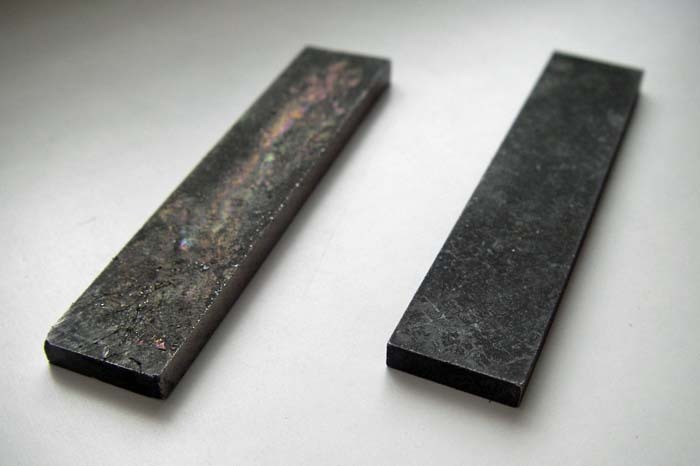 Original T-Top magnet on the left. 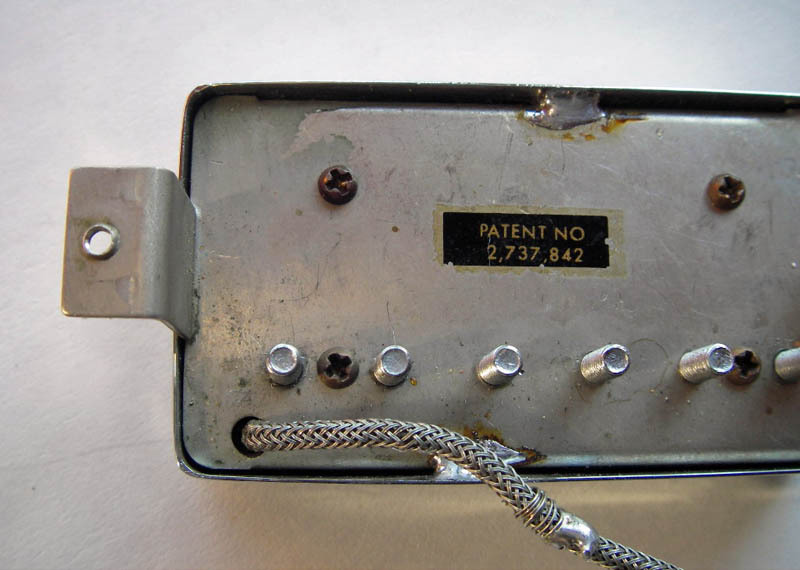 Pre T-Top humbucker 1965. 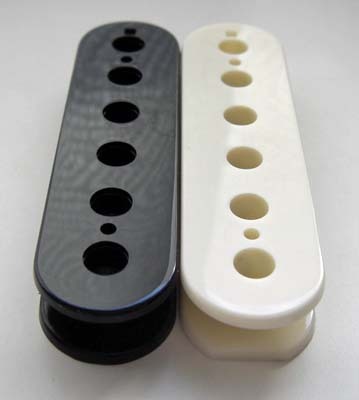 The pickup was installed on Gibson ES 335 neck position. Chrome plated cover removed.